The Technical and Operations Group (TOG) is made up of the personnel at the European VLBI Network (EVN) stations who provide the technical and operational expertise for operating the EVN as a VLBI array. The next TOG meeting will be held at the NASA’s Deep Space Communications Complex in Robledo de Chavela (Madrid), June 26th, 2015. We kindly ask the members of the TOG and other colleagues interested in participating to reserve June 26th in their calendar in order to be able to attend the meeting. RadioNet3 is kindly supporting the EVN TOG meeting in Robledo. RadioNet3 has received funding from the European Union’s Seventh Framework Programme for research, technological development and demonstration under grant agreement no 283393. LOC: Cristina García Miró (cgmiro at mdscc.nasa.gov), Carolina Gutiérrez (cgutierrez at mdscc.nasa.gov), Chris Jacobs (Christopher.S.Jacobs at jpl.nasa.gov). 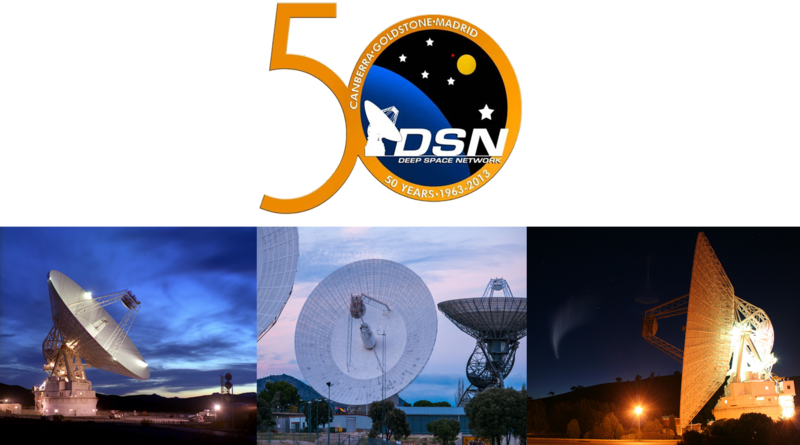 The meeting will be held at the Training and Visitor Center at the Madrid Deep Space Communications Complex, (INTA-NASA), in Robledo de Chavela, Madrid, Spain (Visitor Center link in this web). A bus will pick up the participants at the bus station of San Lorenzo de El Escorial, where the meeting hotel NH El Escorial Victoria Palace is placed, to bring them to the Robledo Visitor Center. At the end of the meeting a bus will drive the participants back to the bus station of San Lorenzo de El Escorial. Please go to the following link to register in the meeting. The password to register will be provided by the TOG chairman. The participants list will be updated manually by LOC. Please allow several days to see your name in the list after a successful registration. Many thanks. 8:30 Pick up participants at San Lorenzo de El Escorial bus station (bus station location). Christopher Jacobs (JPL) will be at the bus station to check that all the participants take the bus. In case of problems he will be available at a spanish mobile number that will be provided via e-mail to the participants. 9:15 Arrival to MDSCC Training and Visitor Center and welcome by Carolina Gutierrez, Visitor Center manager. 9:30 EVN TOG meeting starts (check meeting agenda below). 14:00-14:05 Introduction to MDSCC by Mr. Angel Anaya, MDSCC Operations manager. 14:05-14:25 Introduction to the science performed with the Deep Space Network, Christopher Jacobs, JPL Reference Frames lead, ICRF-3 chair. 14:25-14:30 The Deep Space Network Now. Cristina Garcia-Miro, Robledo VLBI friend. 18:00 EVN TOG meeting final remarks, meeting photo with 70m DSS-63 antenna. 18:00-18:30 Pick up participants at MDSCC Training and Visitor Center to drive them back to San Lorenzo de El Escorial bus station. 21:00 Meeting dinner at the Hotel NH El Escorial Victoria Palace. You are kindly invited by RadioNet3 to join the dinner (funded by RadioNet3). Please specify on the registration form your availability to attend the dinner and any dietary restrictions (vegetarian, vegan, no pork, etc.). Late June is the beginning of the holiday season in San Lorenzo de El Escorial. We recommend you to book the hotel as soon as possible. 25 June - double room (single occupancy): 92,24€ breakfast included. 25 June - double room (double occupancy): 103,75€ breakfast included for two. 26 June - double room (single occupancy): 107,97€ breakfast included. 26 June - double room (double occupancy): 119,00€ breakfast included for two. 27 June - double room (single occupancy): 104,05€ breakfast included. 27 June - double room (double occupancy): 115,00€ breakfast included for two. Meeting rates are held until 2 months before the meeting date, i.e. April 24th, 2015. Please try to book as soon as possible. Rates will increment after April 24th and room availability will no longer be guaranteed. Cancellation is free of charge until one week before the meeting. On the internet you may find pensions and budget accomodation if required. A limited travel support for this meeting can be given by RadioNet3 on special request to Michael Lindqvist (michael.lindqvist at chalmers.se), Onsala Space Observatory, Sweden. The deadline is April 24th, 2015. We would recommend the bus option better than the train one, if taxi or rental car are not your preferred options. To get to San Lorenzo de El Escorial by bus from Madrid Adolfo Suárez Airport first you need to go to Terminal 2 or Terminal 4. There is a free bus service that connects all the terminals in the Madrid Adolfo Suárez Airport, it runs 24h a day. The fare of an underground ticket to Moncloa station from Madrid airport is 5€ (including the airport suplement). Besides the Moncloa metro station is the Moncloa interchange station where you can either take the 661 bus line or the 664 bus line towards San Lorenzo de El Escorial. The bus line 661 takes around 55 minutes and stops at 10 other stations before arriving at San Lorenzo de El Escorial. It runs from around 06:55 until approximately 00:30 during the weekdays, with reduced hours on the weekends. The fare for the bus ticket from Moncloa station to San Lorenzo de El Escorial is approximately 5€. The 664 bus also leaves from Moncloa station, and makes 6 stops before reaching San Lorenzo de El Escorial. This journey is also around 55 minutes, and the fare is, again, around 5€ each way. San Lorenzo de El Escorial bus station is located about 2 minutes walking distance from NH Victoria Palace Hotel. To get to San Lorenzo de El Escorial by train from Madrid Adolfo Suárez Airport first you need to go to Terminal 2 or Terminal 4. There is a free bus service that connects all the terminals in the Madrid Adolfo Suárez Airport, it runs 24h a day. The fare of an underground ticket to Chamartin train station from Madrid airport is 5€ (including the airport suplement). The C8A train departs from Atocha train station, and stops also at Chamartín station before heading to El Escorial. The journey takes just over an hour and trains run during the weekdays from approximately 05:45 until approximately 23:30. It is recommended to always check the official timetable before planning your journey. A return ticket costs around 12.00€. Once you arrive to El Escorial train station there is a bus that takes you to San Lorenzo de El Escorial or you may go walking up hill for about 15 minutes. You will see the Monastery on your left, the NH Victoria Palace Hotel is at the top of the hill at the right hand side. From the Madrid Adolfo Suárez Airport to San Lorenzo de El Escorial: 90-100€ aprox. You can always check the fare in advance at the airport in a taxi stand located at the terminal building. From San Lorenzo de El Escorial to the Madrid Adolfo Suárez Airport: 80-85€ aprox. Contact: Adrián Pancorbo, +34 690916664. If you rent a car with GPS, introduce the following address: Juan de Toledo, 4 San Lorenzo del Escorial for NH El Escorial Victoria Palace hotel. The hotel has 6 parking slots free of charge, subjected to availability. Valet parking at the Monastery has a 50% discount for Victoria Palace hotel guests. Parking at surounding streets is permitted unless explicitely advertised. If you arrive to Terminal 4 (T4), to avoid toll roads, follow directions for Terminales T1 T2 T3. From Terminales T1 T2 and T3 follow signs for M-40. Once you reach the M-40 you will need to take the A-6 direction (towards the right). If you happen to reach a toll road and you do not have change (coins), a credit card should be accepted without problems. Follow directions for M-40 towards A-6 direction. Drive on M-40, the highway surrounding Madrid, and take Exit 46. Merge onto the A-6 motorway at the 11 kilometer point. From the A-6 motorway, take Exit 47 heading toward El Escorial/S.L de El Escorial. Merge onto M-600. After 500 meters, you will see the entrance to El Valle de los Caidos on the right. Continue straight along M-600. Pass through a traffic circle, following signs to El Escorial/S.L de El Escorial along M-600. At the next traffic circle, take the second exit towards San Lorenzo de El Escorial. Proceed straight through four traffic lights; just before the fifth light, you will see the entrance to the hotel NH Victoria Palace on your left. Toledo: Former capital of Spain; beautiful cathedral; long history; crafts. It’s located 1h south. Segovia: Roman aqueduct; medieval castle; beautiful cathedral. 1-2 h northeast.